Global arrangements through ILAC and IAF underpin the international acceptance of traded products. Through accredited sources, economic operators can demonstrate that their products meet market requirements so that market operations can use these products with confidence. This system also enables governments to regulate products in the knowledge that the market will have the means of meeting both voluntary and regulatory requirements in a transparent way. Independent accredited conformity assessment of certification, testing, calibration and inspection services provides an essential tool that can be used by the public sector to meet policy objectives. 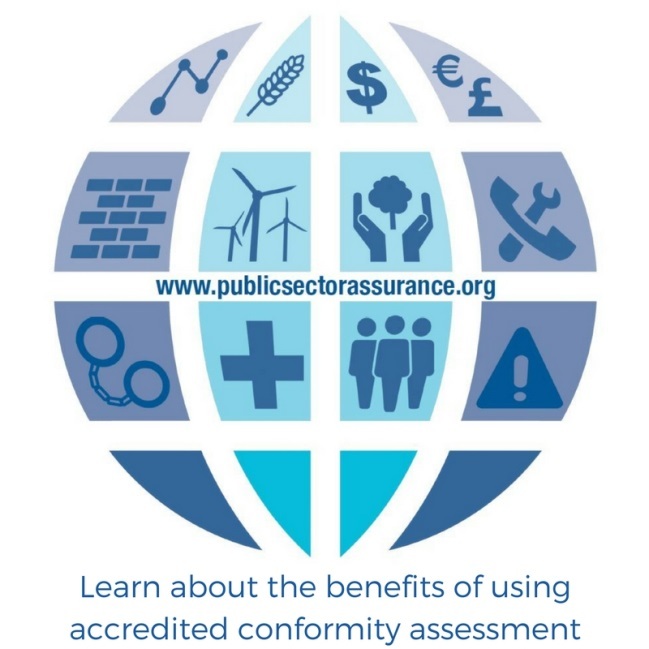 Jointly developed by IAF/ILAC/ISO/IEC/IIOC, the Public Sector Assurance website showcases how accredited conformity assessment is used around the world by central government, local government and regulators to deliver positive benefit. It features case studies that illustrate the value of accreditation to government officials and regulators in delivering results in key policy areas. It also provides independent research and supporting information to demonstrate the tangible benefits of conformity assessment to the public sector.